Big congrats are in order for Jim, who on Friday was able to do ten, count them, 10 pullups with no assistance! Keep up the great work! 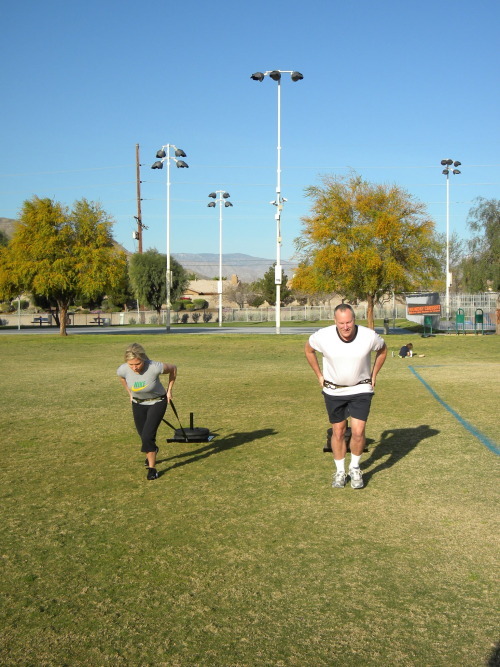 Jim and Tiffani loved the Sled Drag WOD in the park this Saturday!